The operation behind the attacks waged against banks in Brazil, known as #OpWeeksPayment on Twitter, claims issues with government and capitalism were catalysts for the attacks. Anonymous Brasil said its attacks were only meant to fight corruption in BrazilA group of internet hackers, which calls itself Anonymous Brasil, continued its relentless attacks which began earlier last week by taking down the websites of the Citigroup and Citibank.The group, which is targeting financial institutions, issued a warning message to them, saying Anonymous Brasil does not forget you. Your turn will come. Apart from Citigroup, both in Brazil and in the US, the group had also targeted the websites of four major banks in Brazil, including Banco BMG, Banco Bradesco, Banco Panamericano, HSBC Holdings, Itau Unibanco Banco Multiplo and the Brazilian banking federation Febraban. Last Wednesday they took down the website of the Banco do Brasil, Brazil's largest state-run bank. It's the third such attack against financial institutions in a week. "Attention sailors: Target hit! ... BancodoBrasil is sinking. TANGO DOWN," said a Twitter post from the group that calls itself "Anonymous Brasil." On Monday, the group attacked the website of Itau Unibanco Banco Multiplo SA, Brazil's largest private sector bank and one day later it did the same against Banco Bradesco SA, the country's second largest private bank, using a denial of service attack that essentially swamps a website with false users. 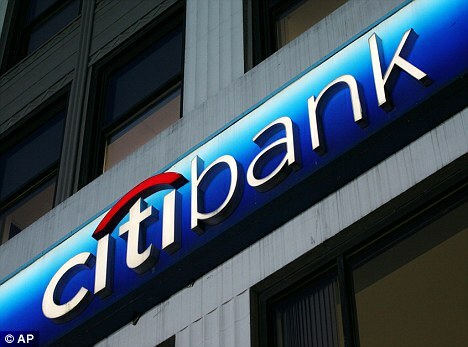 A Citi spokesman said, "On Friday morning, Citi's consumer website experienced a temporary interruption in service. Our online team worked immediately to address the issue, and operations were restored within one hour. We are continuing to monitor the system to ensure continuity of services. At no point were there data integrity issues or a compromise of client account information. We apologize for any inconvenience." The group, which announced its attacks via Twitter, has published an action list for further attacks this year, which will include airlines, telephone companies, credit-card companies and government websites. The groups said they also plan to hijack transmissions by radio stations.